65 days until The Doctor Falls! Welcome to Mostly Harmless Cutaway One Four Six featuring Caitlin, Carl, Cat, and Eric. 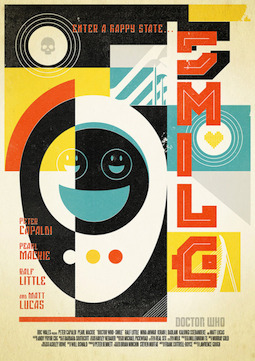 Join us as we dive into NEW Doctor Who future-story Smile. Let the banter begin! This is the second RAW edition of MHC. Due to government cutbacks, we've had to tighten our belts and production, and have whittled the pod down to its bare essentials. We literally hit record, anything goes gaffes, swears, et al -- until we hit stop. Enjoy. This episode was recorded April 24, 2017.